Netflix and the BBC’s Dracula series has enlisted two additional cast members. 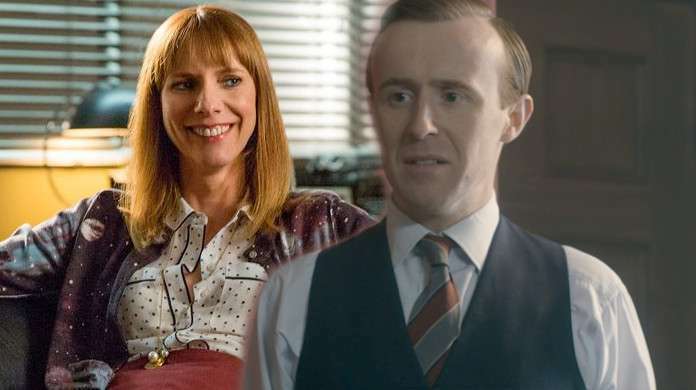 The Crown’s John Heffernan and Doll & Em’s Dolly Wells have both joined the cast, according to Deadline. The series stars The Girl in the Spider’s Web’s Claes Bang as Dracula. The cast also includes No Offence’s Joanna Scanlan, His Dark Materials and Patrick Melrose’s Morfydd Clark, Phantom Thread’s Lujza Richter, and Doctor Who, Sherlock, and Game of Thrones' Mark Gatiss, who co-writes the series with Steven Moffat. Production on the series is set to begin this spring. The series is set for three 90-minute episodes. Moffat and Gatiss are writers and creators of the show, which is inspired by Bram Stroker’s classic horror novel Dracula. The series is set in Transylvania in the late 19th century, with Dracula hatching plans for Victorian London. Gatiss, Moffat and Hartswood Films head Sue Vertue will executive produce the series alongside the BBC’s Ben Irving for and Netflix’s Larry Tanz. “So exciting to see an amazing new cast start to assemble, I hope Claes doesn’t eat them all,” Moffat added. Dracula is Moffat’s first project since stepping down as showrunner of Doctor Who after several seasons. Moffat and Gatiss are hoping to recreate the magic of their Sherlock series. The series reimagined Sherlock Holmes (Benedict Cumberbatch) and Dr. John Watson (Martin Freeman) in the modern day. The series became a huge success, though the growing profiles of its stars leave fans in a constant state of doubt about its future. Moffat updated another gothic horror tale, Strange Case of Dr. Jekyll and Mr. Hyde, in the BBC television series Jekyll in 2007. Are you looking forward to seeing Moffat and Gatiss’ take on Dracula on Netflix and BBC One? Let us know what you think about the new series in the comments!